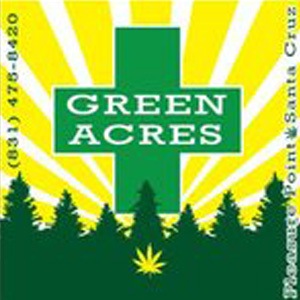 Green Acres is a Santa Cruz based farm-direct collective and a dispensary that also offers delivery service. Want your medicine directly from small licensed farms? Then you should visit Green Acres! Knowing where their medicine comes from and how it was grown is very important for many patients. Green Acres’ premium strains are all pesticide-free and sustainably grown in their natural environments with organic nutrients. They provide free delivery to medical cannabis patients living in the area. Expect a professional, discrete, safe and relaxed experience, whether at the dispensary or if using their delivery service. Green Acres staff are very knowledgeable when it comes to their product and always happy to help in any way possible. The moment you step in their dispensary you will feel welcomed. New patients will receive free gift! They also have Waxy Wednesday, when all concentrates are 25% off. All strains are tested for content and safety by SC Labs.